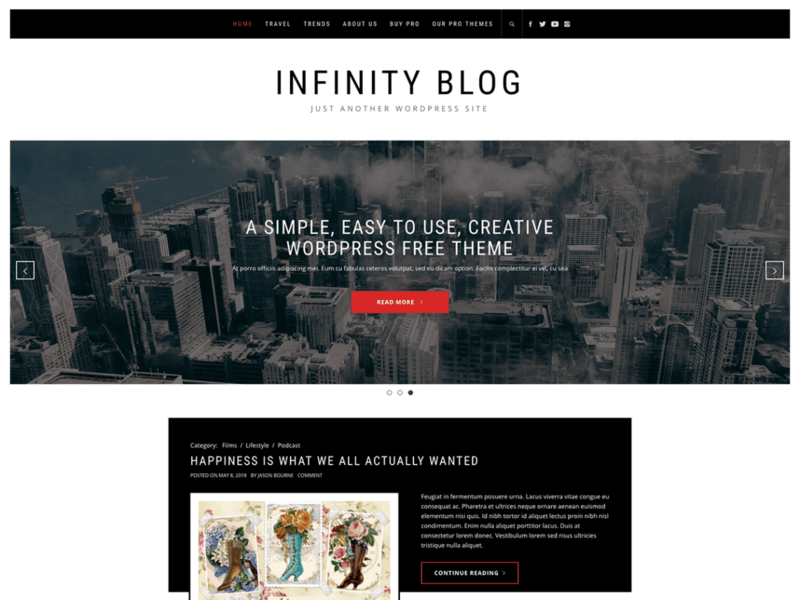 Infinity Blog is a minimalist WordPress blog theme with bold details and unique styling in all the right places. Fully responsive design displays beautifully across desktop, mobile and all devices in between. Whether you’re an established creative or are just launching your new business, Infinity Blog will highlight your content beautifully and grab the attention of your visitors!